Believe it or not, garage doors are supposed to open smoothly and quietly. If your garage door has been making noise for some time now, then you might have got used to this as the norm and forgotten how quiet it used to be. Those noises your garage door is making when opening and closing could be a warning sign for a more serious problem. So, you should get it checked out rather than ignoring it. What do the noises from your garage door mean? Here are a few common problems to keep an ear out for. If you hear rattling and shaking noises when operating your garage door, it’s likely that some of the individual parts have come loose. You should check the hardware on a regular basis and tighten it up when necessary. If the nuts and bolts start to loosen, then they could be causing these noises. If your garage door emits a high-pitched squeak when you open it, then the moving parts probably need some extra lubrication. It’s important to keep all moving parts well-lubricated to ensure they move smoothly and don’t suffer too much wear and tear. It’s also a good idea to get a professional to check your hinges in case they need replacing. The sound of parts grinding against each other when you open your garage door can be worrying. 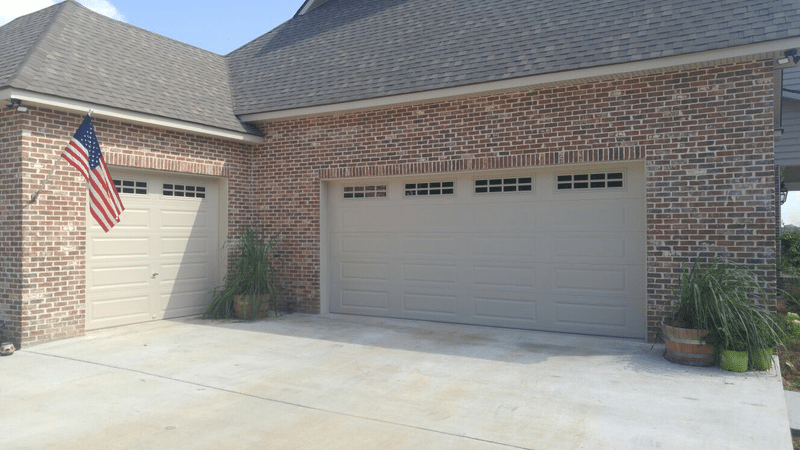 This could be a result of your garage door becoming misaligned over time. This refers to the way your garage door sits on its rollers. If you open your garage door halfway and it isn’t straight, then this usually points to misalignment. You should call the professionals for a garage door tune-up in this case. Loud clunking and banging noises can be caused by a few different things. It could be a problem with the garage door opener rather than the door itself. If the opener is struggling to lift the garage door, then it could clunk into action when opening the door. Arrange garage door opener repair if you suspect this is the problem. A loud bang when the door closes could indicate that your weather stripping at the bottom of the door needs replacing. Be careful, because a loud bang could also be the sound of a garage door spring snapping, which is a dangerous problem that should only be handled by the professionals. If you’re hearing any of these noises, then call for a garage door service from Carolina Garage Door, helping maintain and repair garages around Winston Salem, Greensboro, High Point, and Kernersville.